This company operates as any other settlement company does by negotiating creditor debts on the client’s behalf. They have not provided a clear outline of their pricing structure on their company website. They do state, however, clients may be able to realize a savings of 50 percent of the total amount of debt enrolled in their settlement program before company fees are assessed. After fees, the company claims clients will realize a 75 percent reduction overall. This leads us to believe their fees are based on a 25 percent model. The claim to settle debts under a judgment is a bold one because these are court enforced documents. This creates an outlet for bank accounts to be dipped in or paychecks to be garnished. Once these actions take place, it will be more difficult for creditors to choose to settle because they already have access to your bank account and check. This company claims to settle client debts under a 12 to 48 months term structure, which is fairly reasonable and are term lengths offered by many of the leading industry competitors. However, keep in mind that a 48-month term will open new doors for litigation as well as a continuance of interest accrual on each creditor account. We like the fact that this company has listed many of the nation’s top creditor information on their website. Creditors include Citibank, American Express, Nationwide Credit Corp., CitiFinancial, among hundreds of other financial institutions, credit unions, mortgage companies and department stores. First off, we simply are not sure whether this company is still operating as we have not received any return calls or emails. Additionally, this company completely lacks transparency as well as any accreditation with the AFCC and certification by the IAPDA. They provide few resources to consumers, although they provide a blog, which we found to be extremely outdated with the last post being in 2012. The bottom line is this: we don’t know if the company is operating and highly recommend several other companies on our list as this company lacks almost anything a credible settlement company would have. We would suggest looking at the top-recommended companies on this site. Price will vary depending on each individual situation. No fees are charged upfront for settlement services. There is no cost for the initial consultation. This may be done via an online form (accessible from the company’s website) or by telephone. For those needing information outside of business hours, the online form is another option. One of the fields on the form allows prospective clients to essentially schedule an appointment for a follow-up call. The date of the return call does not appear, so it is unclear if the window is automatically set for the next business day or for a day or two later. 8 years. Since January, 2006. The Debt Free League has a variety of articles on their website about debt. These articles range from educating about how debt affects families, debt as a trigger for depression, signals that your debt is nearing a “danger range” and how to get help for your debt problems. 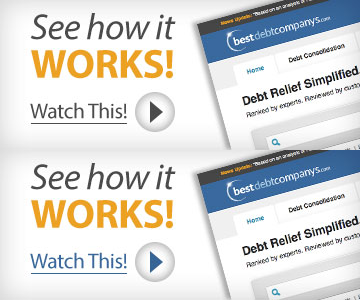 Debt Free League also includes resources on avoiding debt relief scams. The company also has a thorough FAQ page on their website that addresses many issues about debt settlement and credit scores in general. Debt Free League has a Facebook page that has a few informative videos about their services and debt in general. This page (started in 2011) is not frequently updated. As with most debt settlement companies, Debt Free League works with unsecured debts. These include credit cards, medical bills, back taxes, business debt and unsecured personal loans. Mortgages, auto, and student loans are not eligible for this program. This company does not have a website that is optimized for mobile access, although it can be navigated on a mobile device with little difficulty. Debt Free League does not have a mobile app available. Debt Free League offers debt settlement services to people with at least $5,000 of unsecured debt. They offer a Debt-to-Freedom plan that allows consumers to settle their debt for a percentage of what they owe. $5,000 of unsecured debt is the minimum of debt necessary for Debt Free League to help you settle your debt with their Debt-to-Freedom plan. No, there is no dashboard available currently on their website. No, this business is not accredited by the AFCC or IAPDA. By submitting this form, I consent to receive calls using automated technology from Debt Free League at the number provided and understand this is not a condition of purchase.